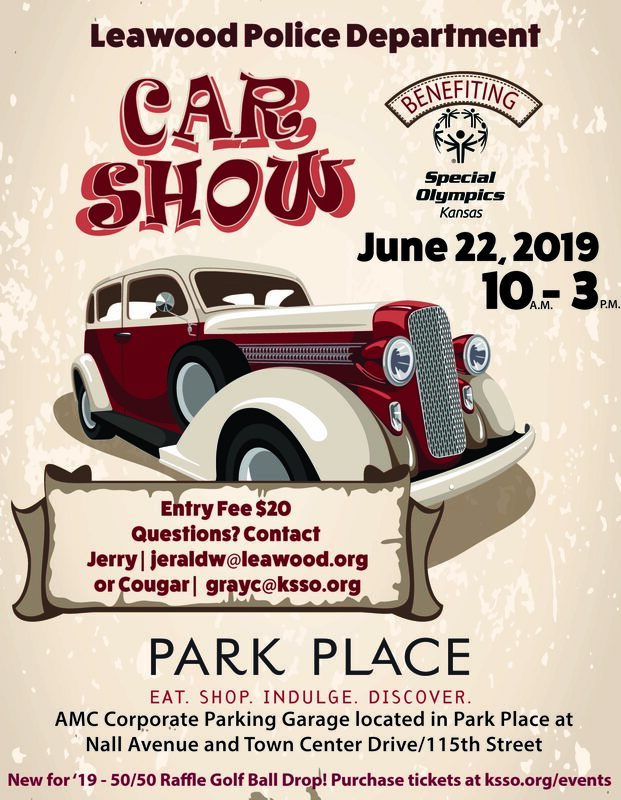 Join us for the annual Leawood Police Department Car Show at Park Place on June 22 from 10 a.m. to 3 p.m. 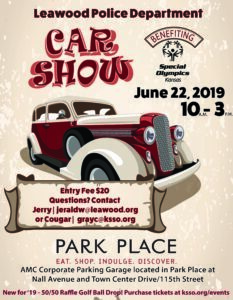 Entry fee for cars to participate in the show: $20. New for 2019 – 50/50 Raffle Golf Ball Drop. Tickets coming soon! Each ticket you purchase will match up with corresponding numbers on golf balls. The Leawood Fire Department will hoist the golf balls up the ladder on their truck and drop them over the edge. The closest ball to the target will be the winner. Winner will take home half the 50/50 pot. Questions? Contact Jerry, jeraldw@leawood.org, or Cougar, grayc@ksso.org. Location: AMC Corporate Parking Garage in Park Place; Nall Avenue and Town Center Drive/115th Street. All proceeds will benefit Special Olympics Kansas. Authorized and accredited by Special Olympics Inc. for the benefit of persons with intellectual disabilities. Copyright © 2019 Special Olympics Kansas. All Rights Reserved.